And that's the only thing what makes it overrated? There are other reasons. So what? It doesn't change a persons interest in it, I hope. DotD is honestly my favorite Spyro game after Spyro 2. Spyros 1 and 3 come after it, then Hero's Tail. I've heard good things about TEN on GBA so maybe when I get a new game boy it will jump into the top list somewhere. Just kidding I haven't played this game yet so I can't say. Because people have opinions. 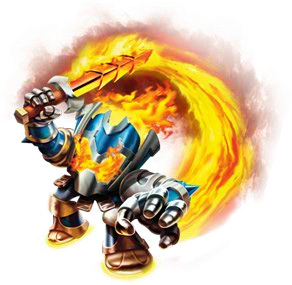 The thing is, SOME people think Skylanders is better. (but gameplay and glitches wise pretty much every game is better than ETD) Some people also think people make a huge goddamn deal out of the game when there are enough plot holes to open that chasm to the core of the dragon world again, which some people also can't stand. That's not really possible when the reason you were enjoying the game at all was the story, cliched as it was, because the gameplay is garbage/boring as all get-out. DotD did improve on the dull gameplay, but it cancelled out the good of that by making the story a hojillion times dumber than it already was. And the original spyro games had much better attacks? I'm not against any spyro games except for ETD, but come on, all spyro could do in those games was charge and breathe fire. At least DotD had more attacks the two. I love the original games and the loS series, but I believe saying that just the LoS series had repetitive gameplay is stupid. I got bored with Spyro 1 sometimes when there was no change, and I also get irritated with how difficult some of the enemies are in DotD. What made up for that was the beautiful music and graphics (PS3 version anyway). By that logic,any game without combos is bad. There's simple gameplay,there's complex gameplay,and there is a horrible mess which might be in any side of the issue. DOTD is kinda that - it has a ton of complex mechanics and elemental stuff that in the end you'll forget after a few puzzles to button mash to oblivion.ANB also was at fault with that,because the elements then become completely useless after you find out which one you like to spam the most. TEN achieved sort of a balance by making all of them adjust to combos, but in the other hand also made physical moves useless and the enemies frustrating. There are games out there which are AWESOME with just one or two buttons, the question is what you do with those two buttons. Bigger isn't always better, and sometimes smaller also isn't. Shadowcat, you seem to think that the way you like to play games is the best/only way to play, and it isn't. It's great that you like how DotD plays; not everybody does. Your reply has nothing to do with what I was saying at all. XD I didn't play LoS for the gameplay, which was dull and repetitive at best for me. I played for the story (which was cliche but had it's charm up until DotD shot it full of holes). I DO play the Insomniac games for their gameplay; those two attacks you poo-poo so loudly are fun and implemented with finesse, but the games use a lot more than fighting style to solve puzzles. The puzzles and minigames become a fun challenge meant to work with limited attacks (and often none at all). By contrast, DotD was just button mashing; I racked up several 100+ move combos without knowing how or caring or even knowing what purpose they served. That's not good design or good gameplay. And don't get me started on the borked flight mechanics and crappy platforming. Ugh. I personally think this game is great because the flying mechanic so I dont know it was fun in my opinion. Eh, as I said, I love both series and I find both have some flaws, but I forgot to mention that I pretty much only use elemental attacks in LoS. (After I completed the game of course but that was so long ago...) and then used that elemental cheat so I could have a lot more time to listen to the music and watch cutscenes. Now that I think about it, I did get really annoyed with the combat style... But more so with how dang tough the freaking enemies were! (I mean seriously) Alright, I admit there is truth in your statement (especially about the element side of things. Fire was my fave in ANB, convexity in TEN and ice in DotD. Pretty much all the strongest elements in each game. What happened to fire? It's so weak in DotD) and classics were much less infuriating. I think I get annoyed when I die and have to kill them all again or when I am stuck in a level and need a guide to continue. And Razz, where did you get that idea from? I don't think there's one way to play a game unless that way is to complete it. I was just stating my opinion, just like everyone else here in this topic. And yeah I agree with most of what you say. The reason I love the classics is because of its simple and different style. And the flying mini games are my favourite :3. DotD does have a lot of button mashing if you don't use the cheat. I did like the flight style in the game, but that was because of the scenery and how awesome it is if you were a dragon flying over that same place. Platforming... Eh it's not too dodgy but could use improvement. Sory if I sounded really demanding in my last post, I just agree/disagree with some stuff. I don't exactly think it's overrated these days. Back when it came out, the (mostly young) new users fawned over this game, which led to serious backlash from others (mostly me). Critics slammed the game as the worst of the trilogy, but some dedicated fans will say it's the most tolerable of the trilogy. TEN is great on GBA, you should definitely get it (and I agree, the originals are amazing and AHT is pretty awesome too ). I also think that TEN is the best PS2 game out of TLOS, but I guess that's an unpopular opinion...? Not entirely sure. In my experience it was the only LoS game where you wouldn't beat it just by button mashing- you had to find enemy weaknesses, use Dragon Time like crazy, and use your surroundings to your advantage, or else you'll have a tough time getting past even the first few levels. (I've wondered if the DS version is any good so I'll have to try it someday). Anyway back on topic, I think people call DOTD overrated because of the hype there was when it first released- they were let down when they played through the final product (or at least I'm pretty sure there was a lot of hype... I mean the multiplayer and flying were enough reason for me, and those two mechanics turned out to be really flawed and disappointing in my opinion). This is not a "play through the game at least once a year" game like most of the other Spyro games are to me, but I'll definitely play through the game again many times. Mostly to hear the music, though, not because of the gameplay. Ok, I will say the music is definitely overrated, arguably to a worse extent than the game. Most of the music is just recycled from the previous games. And what new music there is in the game is A) overshadowed by the sound effects due to poor sound mixing and B) very flat and unmemorable because the tracks tried to come off as bombastic, but without a full-fledged live orchestra they lacked that OOMPH that good action music needs. Yup. You can see Rebecca Kneubhul and Gabriel Mann tried their best, but it's a whole different deal going from gothic-y choir to trying to sound like LOTR, and two people can't get that job done. There are definately some amazing pieces like Attack of the Golem 2,Burned Lands 2,Floating Islands 1 and 2 and Malefor 2(see the pattern? ), but most things barely stand out more than ambience. Dishonorable mention also goes to some of the battle themes, which just aren't as repetitive as the Swap Force boss battle themes - Burned Lands Battle also just made the sections worse than they already were, which is the entire opposite of its objective. Nah, LoS fans aren't stupid. They like what they like and that's fine. Some of them are annoying, yes, but so are plenty of classic Spyro and Skylanders fans. Saying an entire group of people who like what you don't like is stupid, though...that's kind of dumb and very short sighted. He put the "/s" right there guys,he's joking. Didn't even see the "/s". XD I've never seen that shorthand in over 20 years of internet use. yes, it was pretty overrated back when it first came out, but i think now that the hype is gone most people have come to a conclusion that the game is terrible. that's pretty all i've seen recently anyway. i'm not 100% sure about that.